Volume 1 | Issue 1 | Apr – June 2016 | Page 25-30|Kshitij Chaudhary, Ranjith Unnikrishnan. Abstract: Adult spinal deformity (ASD) is fast becoming a global spinal epidemic. Decision making in adult deformity is a complex process and with each passing year, the treatment protocols are evolving as new evidence comes to light. The decision to choose surgery is not only complex but also patient specific. The surgical options can be broadly classified into three groups in order of increasing complexity and surgical invasiveness: 1) focal decompression only, 2) decompression with limited fusion, and 3) fusion of the entire curve. Of the many controversies plaguing adult spinal deformity, choosing end levels of fusion is the subject matter of ongoing debate. This narrative review makes an attempt to provide general guidelines for selecting fusion levels based on the current evidence. As the world’s population ages, adult spinal deformity (ASD) is fast becoming a global spinal epidemic. Although accurate estimates are difficult, the prevalence is reported to be as high as 60% in individuals older than 60 years . Adult deformity can be of two types. Adult idiopathic scoliosis represents patients who have a history of idiopathic scoliosis in childhood that present with symptoms related to degenerative arthritis within the curve. Degenerative or De novo scoliosis represents patients without preexisting spinal deformity who present with spinal deformity secondary to degenerative spinal changes . It is hypothesized that asymmetric disc degeneration and facet arthritis with lateral and/or rotatory listhesis is responsible for the development of de novo scoliosis in adults. Usually, the age of presentation of patients with degenerative scoliosis is in the 6th decade. The typical presentation is either axial back pain or radiculopathy (radicular or neurogenic claudication). With severe deformity, patients may present with a change in body habitus, abnormal posture and may complain of ill-fitting clothes. One of the fundamental difference between treating adolescent deformity and adult deformity is that the treatment choice is guided by the clinical presentation rather than radiological parameters. Although precise therapeutic guidelines for treating these patients are not defined, clinicians should take into consideration certain general evidence-based principles when treating these patients. Decision making in adult deformity is a complex process and with each passing year, the treatment protocols are evolving as new evidence comes to light. In general, with exception of patients presenting with acute neurological deterioration, nonoperative treatment is the first option offered to patients. The surgical options can be broadly classified into three groups in order of increasing complexity and surgical invasiveness: 1) focal decompression only, 2) decompression with limited fusion, and 3) fusion of the entire curve . Surgery is indicated in patients who fail conservative care and continue have ongoing back pain, neurological symptoms or deformity progression. The decision to choose surgery is not only complex but also patient specific. Innumerable factors need to be considered before finalizing on surgery, and the patient should be part of this decision-making process. Of the many controversies plaguing adult spinal deformity, choosing end levels of fusion is the subject matter of ongoing debate. While limited fusion and decompression is associated with lower postoperative complications, these patients may soon become symptomatic due to adjacent segment degeneration if the fusion levels are not chosen wisely. Extensive fusion of the entire deformity not only carries a significant surgical risk, but is also associated with complications related to selection of end-levels of fusion. At the distal end the debate is whether to fuse or not to fuse to sacrum. At the proximal end, proximal junctional kyphosis remains a risk and, therefore, choice of upper end-level of fusion requires special attention. This review article makes an attempt to provide general guidelines for selecting fusion levels based on the current evidence. Standing radiographs are of paramount importance. Patients with spinal deformity should be evaluated using full spine radiographs that include the external auditory canal and the femoral heads. The position of the arms with 30º shoulder flexion has the least impact on sagittal alignment . 1. Cobb angle: measure for all curves, including fractional curves. Identify stable, neutral and end vertebrae. 4. Coronal balance: offset of the C7 in relation to the central sacral vertical line is measured, with offsets of more than 5 cm considered as abnormal. 5. Clavicle angle: angle between a line joining two clavicles (most cephalad points of both clavicles) and the horizontal reference line. It is a measure of shoulder imbalance. 6. Pelvic obliquity: angle between the highest points of iliac crest or sacral ala and the horizontal reference line. If there is a pelvic obliquity it is imperative to rule out an oblique take off of L5 and limb length inequality. 3. Global Sagittal balance (Fig. 1): These parameters have been shown to correlate with self-reported pain and disability (HRQOL measures) [5,6]. a. Sagittal C7 plumbline is drawn from the centroid of C7. Measure the horizontal offset of from this plumbline and the posterior superior corner of S1. b. T1 and T9 spinopelvic parameters: these are angles between the the vertical plumbline dropped from the center of T1 or T9 vertebral body and the line joining this center to the center of the femoral axis. These are a measure of sagittal imbalance. 4. Pelvic parameters (Fig 2): Pelvic incidence is a morphological parameter that remains relatively constant throughout adulthood. It is the sum of sacral slope and pelvic tilt (PI=SS+PT) which vary according to the pelvic position. Normative values are: 52º for PI, 12º for PT and 40º for SS . 5. Anterior or posterior vertebral subluxation. Unlike the widely popular and established Lenke classification for adolescent idiopathic scoliosis, the classification systems for adult spinal deformity continue to evolve as increasing evidence accumulates. The attempt is to try to link the classification system to a treatment algorithm that can reliably predict the outcome of surgical intervention. The adult spinal deformity committee of the Scoliosis Research Society has developed the SRS-Schwab Adult Spinal Deformity classification that has been shown to be comprehensive and predictive of outcomes and complications in the management of ASD . When planning a surgery, it is important to assess the flexibility of the deformity. It is extremely useful to compare the standing radiographs with the supine films. Supplementary radiographs such as push-prone films, traction, and bending films may also be useful. Silva and Lenke have categorized curve flexibility into three categories: flexible, stiff and stuck. “Flexible” deformities will correct passively by at least 50% and will not require additional release procedures. “Stiff” deformities correct 25-50% and may require an anterior release or posterior facet resections (Ponte osteotomies). “Stuck” deformities are quite rigid and need three column osteotomy . MRI is useful to evaluate the spinal canal in patients with neurological symptoms. The location of spinal stenosis has important implications on surgical treatment. CT myelogram may be useful in patient with contraindications to MRI. In patient with severe deformity, multiplaner CT reconstruction may give more information compared to MRI. Osteophytosis and autofused segments are readily diagnosed on CT scan and this too has ramifications on surgical treatment. Although this is an attractive option for the elderly with comorbidities, it can be successfully employed in only a subset of patients. It is ideal for a patient with neurological symptoms (radicular pain) with little or no back pain. The nature of stenosis should be either central canal or lateral recess, and it should be possible to perform a limited decompression to achieve nerve decompression. Foraminal stenosis requires wider destabilizing bony resection and is usually not suitable for decompression only procedure. Besides, if the comparison between standing and supine films suggest a collapsing nature of the deformity, this option is not ideal. Radiographically, these curves should be mild (<15-20º) with a reasonable global sagittal balance and no lumbar kyphosis. The segments that need decompression should be stable as indicated by the presence of osteophytes or collapsed disc space and should not demonstrate subluxation (>2mm) on dynamic or standing radiographs. However, decompression may result in curve progression and worsening of symptoms, especially if done at the apex of the deformity. This option involves performing a limited fusion in the area of decompression. This is suitable for a patient with predominant leg pain (neurogenic claudication) who will require extensive decompression (e.g. severe lateral recess or foraminal stenosis, previous laminectomy, dynamic stenosis). The curve should be relatively small (<30º) without significant lumbar kyphosis or global imbalance. If there is an indication of segmental instability (vertebral subluxation >2mm, anterior, lateral or rotatory) without significant osteophytes or disc settling the segment should be fused. The concern in limited fusion is accelerated degeneration of adjacent segment leading to spinal stenosis and progression of deformity. At the proximal end, it is advisable to include the adjacent segment that has a rotary subluxation or segmental kyphosis within the fusion . Fusion from apex to sacrum have been shown to have poorer outcomes, hence if possible, fusion should not stop at the apex of the deformity . At the proximal end, a decision must be made whether to extend fusion to sacrum. Frequently, the concavity of the fractional curve (L4 to S1) results in foraminal stenosis at L5-S1. Therefore, if the decompression involved L5-S1 segment the fusion should extend to the sacrum. Preexisting pathology (listhesis, pars defect) or severe disc degeneration are indications for extending fusion to the sacrum. 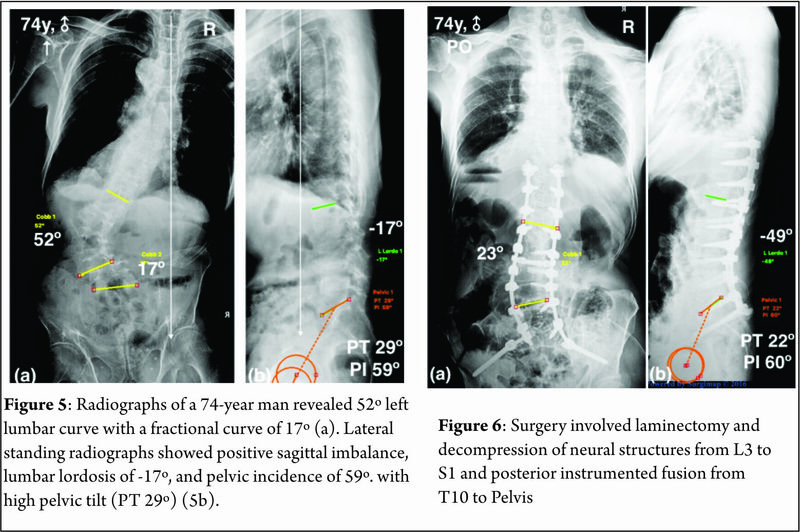 Hansraj et al in a large cohort of symptomatic spinal stenosis with degenerative scoliosis <20º, reported a 95% success rate (no revision surgery) of decompression alone surgery at four years follow-up . Transfeldt et al compared three surgical groups: decompression only, limited fusion and full curve correction. Full curve correction group had the highest complication rate, the worst Oswestry results but it was second best in patient satisfaction. Decompression alone had the lowest complication rate but the lowest patient satisfaction rate. Limited fusion had intermediate results between these two groups . Another retrospective study by Daubs et al found that in patients with curves <30º limited fusion groups outperformed the decompression only group for up to 5 years . This is indicated in patients with significant back pain with or without leg pain as a result of spinal deformity. Typically, these curves are large (>45º), with significant segmental subluxations (>2mm) or instability. The goal of curve correction is to restore global and regional imbalance. Literature indicates that proper restoration of the sagittal profile is critical for improvement of postoperative outcomes as measured by HRQOL scores . Surgimap software is an excellent graphical tool for preoperative planning to achieve these goals . Depending on the flexibility of the deformity, various release procedures, ranging from facetectomy to three column osteotomy are employed to achieve these goals. 1) The UIV should be a stable vertebra. Preferable horizontal rather than tilted vertebra. 2) Evaluate the adjacent segment for spinal stenosis, olisthesis, facet arthropathy, and disc degeneration. One should consider including such level within the fusion. 3) Avoid stopping that the apex of focal or regional kyphosis. Physiological apex in the thoracic spine is around T6 and it is better to stop short (T10) or go beyond this level (T4 or above). 4) Avoid stopping in thoracolumbar region, if the thoracic spine has vertebral compression fractures or thoracic hyperkyphosis. 5) Shoulder balance needs to be considered. Unlike adolescent curves, the compensatory curves in adult deformity do not correct with reduction of the primary deformity. The compensatory curves may be stiffer due to degenerative changes and may require inclusion in the fusion to achieve should symmetry. It is disputable whether to stop the fusion at T10 or L1/L2. Often the stable vertebra is going to be T12. It is a transitional area, and hence most authors recommend bypassing the area and going to T10, which is in a more stable region of the spine even if it means increasing the extent of surgery. Kuklo et al reported that only two of the 20 patients had good to excellent results when stopping at L1 or L2 . However, Kim et al compared three groups with UIV of T9, T11, and L1 and found no difference in outcome at 4.5 years. Cho et al concluded that there was no difference in adjacent segment problems between fusion to T10 and fusion to T11 or T12. They concluded that fusion to T11 or T12 was acceptable when UIV was above the upper end vertebra . In degenerative scoliosis, the most common radiographic anomaly is L3-4 rotatory subluxation with a fixed tilt of L4-5. Hence, it is usually not possible to stop at L3 or L4 in degenerative scoliosis. Therefore, the options available for distal fusion level are L5, sacrum, or pelvis. This decision can be difficult and challenging. Advantages of stopping at L5 are preservation of lumbosacral motion, reduced stress on SI joints, lower operative time and lower nonunion rate . 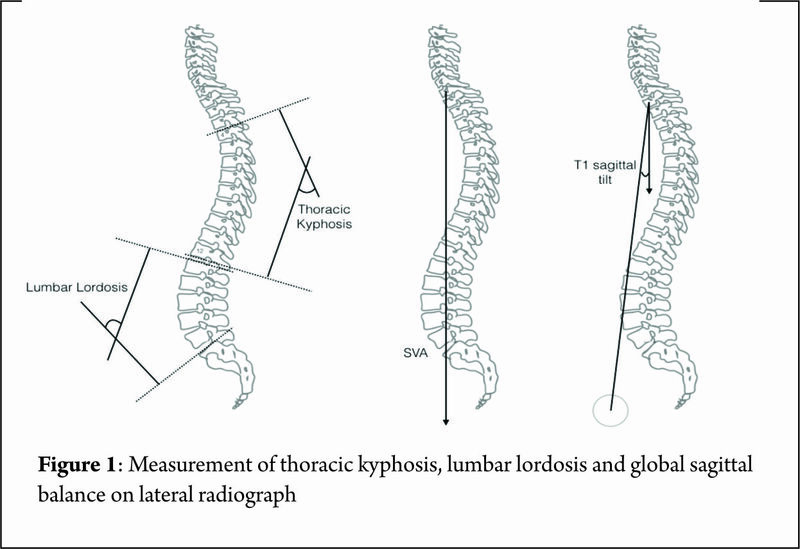 However, stopping at L5 may be associated with adjacent segment disease and increase in sagittal imbalance as the L5-S1 disc collapses and goes into kyphosis. Edwards et al found adjacent segment disease in L5-S1 to be 61% out of which approximately 2/3rd had an increase in SVA by more than 5cm. Extension of fusion to sacrum was performed in 23% patients, and a further 17% were offered surgery, but they declined . Contrary to the popular notion that deep seated L5 is relatively stable, this study found that loss of L5 fixation was not uncommon in such patients. Much of the ongoing debate has shifted from L5 versus S1 to a choice between L5 versus pelvis. Several studies have reported S1 screw failure and pseudarthrosis in patients with long fusion to the sacrum [23-25]. Iliac fixation, particularly with iliac screws, has gained popularity in the recent years. The downside of iliac screws could be their potential for loosening, implant prominence, and pain which may necessitate a hardware removal. However, this complication is not very common . Some authors advocate an interbody fusion at L5-S1 (TLIF or ALIF) in addition to sacro-plevic fusion in patients with long constructs (>3 levels) to reduce failure rate due to pseudarthrosis . 1) Long construct: There is no clear definition of a long construct, but many surgeons recommend including the pelvis if the UIV is L2 or above. 2) Inability to achieve a good coronal or sagittal balance intraoperatively. 6) In patients undergoing three column osteotomies in the lower lumbar spine. Minimally invasive, muscle sparing, tubular techniques are becoming popular to treat lumbar degenerative disorders. They have especially been useful in adult deformity patients to achieve decompression without damaging midline structures and help preserve the posterior tension band. They can also be used for limited fusion operations to reduce the surgical footprint and may reduce adjacent segment problems. However, in long constructs, it is still debatable whether minimally invasive techniques are as effective as open techniques in restoring sagittal and coronal balance . A 62-year old woman presented with predominant leg side neurogenic claudicatory pain attributed to foraminal stenosis (L4-5 and L5-S1) in the concavity of the fractional curve. The patient had failed all conservative measures. Standing radiographs (Fig. 3a) demonstrate a left sided lumbar curve of 25º with a fractional curve from L4 to sacrum of 18º. Supine films (Fig. 3b) show that the lumbar curve corrects to 19º and the fractional curve reduces to 10º. This suggests that the foraminal stenosis at L4-5 and L5-S1 is dynamic in nature, and a simple decompression is not going to relieve her of her symptoms. The lumbar lordosis is 50º, and it is within 10 degrees of the pelvic incidence (56º) (Figure 3c). The pelvic tilt is 7º. The global sagittal and coronal balance is normal. There is rotatory subluxation between L3-4 and anterior subluxation of L4-5 that is more than 2mm (Figure 3a), which is an indication for fusion to extend to L3 even though she does not have spinal stenosis at L3-4. Fusion was extended to sacrum as L5-S1 level had symptomatic stenosis (Fig. 3a). A TLIF procedure was added at L5-S1 level to improve foraminal height as well as to improve fusion rate. Satisfactory tricortical purchase was obtained in the sacrum and hence iliac fixation was deferred. A 74-year man presented with significant neurogenic claudication in both legs and severe back pain that has been unresponsive to conservative measures. The patient did not have any focal neurological deficit. Standing radiographs revealed 52º left lumbar curve with a fractional curve of 17º (Fig. 5a). There was a severe coronal imbalance (+8cm). Lateral standing radiographs showed positive sagittal imbalance (SVA +7cm), lumbar lordosis of -17º, and pelvic incidence of 59º. There was some amount of compensatory pelvic retroversion as indicated by a high pelvic tilt (PT 29º) (Fig. 5b). The goal of surgery was to achieve neural decompression as well as to restore global and regional balance (ideal postoperative alignment should have PT of <25º, PI-LL= ±10º and SVA <5cm). Surgery involved laminectomy and decompression of neural structures from L3 to S1 and posterior instrumented fusion from T10 to Pelvis (Fig. 6a). The flexibility and supine films showed 30% correction and posterior Ponté osteotomies were performed to release the deformity. The stable vertebra was T11 on preoperative radiographs and hence fusion was extended to T10, which is relatively stable segment due to its connection to the rib cage. There was no hyperkyphosis and hence fusion was not extended to the upper thoracic spine. As the fusion construct was long, additional iliac fixation was added to protect the S1 screw and improve the chances of achieving a successful lumbosacral fusion. Postoperative standing radiographs show a good restoration of coronal and sagittal balance. The lumbar lordosis is restored to -49º. Pelvic incidence minus lumbar lordosis is 11 degrees and there is improvement in pelvic tilt to 22º. SVA improved from +7cm to +1cm (Fig. 6). The treatment of adult spinal deformity, surgical decision making and selection of fusion levels remains a complex and controversial process. Surgery in this population is risky and fraught with complications. Over the last few decades, our knowledge regarding these deformities has taken a quantum leap. However, there is still a lot of ground to cover. Therapeutic guidelines and classification system will evolve as researchers continue to search for answers. 1. Schwab F, Dubey A, Gamez L, Fegoun El AB, Hwang K, Pagala M, et al. Adult scoliosis: prevalence, SF-36, and nutritional parameters in an elderly volunteer population. Spine 2005;30:1082–5. 2. Aebi M. The adult scoliosis. Eur Spine J 2005;14:925–48. 3. Silva FE, Lenke LG. Adult degenerative scoliosis: evaluation and management. Neurosurg Focus 2010;28:E1. 4. Vedantam R, Lenke LG, Bridwell KH, Linville DL, Blanke K. The effect of variation in arm position on sagittal spinal alignment. Spine 2000;25:2204–9. 5. Glassman SD, Bridwell KH, Dimar JR, Horton W, Berven S, Schwab F. The impact of positive sagittal balance in adult spinal deformity. Spine 2005;30:2024–9. 6. Lafage VC, Schwab F, Patel A, Hawkinson N, Farcy J-P. Pelvic Tilt and Truncal Inclination. Spine 2009;34:E599–E606. 7. Blondel B, Wickman AM, Apazidis A, Lafage VC, Schwab F, Bendo JA. Selection of fusion levels in adults with spinal deformity: an update. Spine J 2013. doi:10.1016/j.spinee.2012.11.046. 8. Schwab F, Ungar B, Blondel B, Buchowski J, Coe J, Deinlein D, et al. 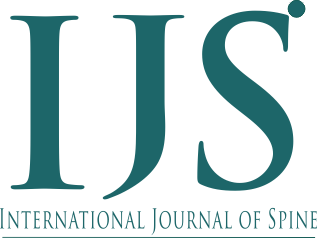 Scoliosis Research Society-Schwab adult spinal deformity classification: a validation study. Spine 2012;37:1077–82. doi:10.1097/BRS.0b013e31823e15e2. 9. Cho K-J, Suk S-I, Park S-R, Kim J-H, Kim S-S, Lee T-J, et al. Short fusion versus long fusion for degenerative lumbar scoliosis. Eur Spine J 2008;17:650–6. doi:10.1007/s00586-008-0615-z. 10. Transfeldt EE, Topp R, Mehbod A, Winter RB. Surgical outcomes of decompression, decompression with limited fusion, and decompression with full curve fusion for degenerative scoliosis with radiculopathy. Spine 2010;35:1872–5. doi:10.1097/BRS.0b013e3181ce63a2. 11. Hansraj KK, Cammisa FP, O’Leary PF, Crockett HC, Fras CI, Cohen MS, et al. Decompressive surgery for typical lumbar spinal stenosis. Clin Orthop Relat Res 2001:10–7. 12. Daubs MD, Lenke LG, Bridwell KH, Cheh G, Kim YJ, Stobbs G. Decompression alone versus decompression with limited fusion for treatment of degenerative lumbar scoliosis in the elderly patient. Evidence-Based Spine-Care Journal 2012;3:27–32. 13. Blondel B, Schwab F, Ungar B, Smith JS, Bridwell KH, Glassman SD, et al. Impact of magnitude and percentage of global sagittal plane correction on health-related quality of life at 2-years follow-up. Neurosurgery 2012;71:341–8–discussion348. 14. Akbar M, Terran J, Ames CP, Lafage VC, Schwab F. Use of surgimap spine in sagittal plane analysis, osteotomy planning, and correction calculation. Neurosurg Clin N Am 2013;24:163–72. 15. Kuklo TR. 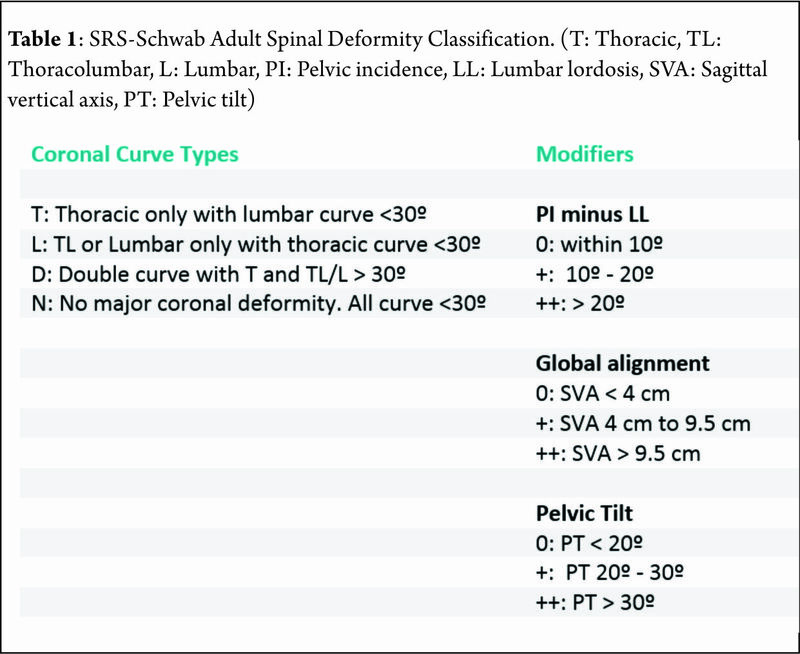 Principles for selecting fusion levels in adult spinal deformity with particular attention to lumbar curves and double major curves. Spine 2006;31:S132–8. 16. Kim YJ, Bridwell KH, Lenke LG, Rhim S, Kim Y-W. Is the T9, T11, or L1 the more reliable proximal level after adult lumbar or lumbosacral instrumented fusion to L5 or S1? Spine 2007;32:2653–61. 17. Cho K-J, Suk S-I, Park S-R, Kim J-H, Jung J-H. Selection of proximal fusion level for adult degenerative lumbar scoliosis. Eur Spine J 2013;22:394–401. 18. Polly DW, Hamill CL, Bridwell KH. 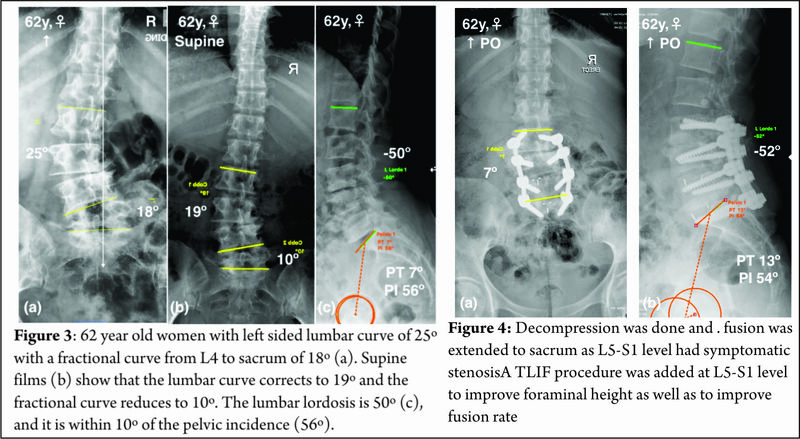 Debate: to fuse or not to fuse to the sacrum, the fate of the L5-S1 disc. Spine 2006;31:S179–84. doi:10.1097/01.brs.0000234761.87368.ee. 19. Edwards CC, Bridwell KH, Patel A, Rinella AS, Jung Kim Y, Berra ABA, et al. Thoracolumbar deformity arthrodesis to L5 in adults: the fate of the L5-S1 disc. Spine 2003;28:2122–31. 20. Eck KR, Bridwell KH, Ungacta FF, Riew KD, Lapp MA, Lenke LG, et al. Complications and results of long adult deformity fusions down to l4, l5, and the sacrum. Spine 2001;26:E182–92. 21. Edwards CC, Bridwell KH, Patel A, Rinella AS, Berra A, Lenke LG. Long adult deformity fusions to L5 and the sacrum. A matched cohort analysis. Spine 2004;29:1996–2005. 22. Bridwell KH. Selection of instrumentation and fusion levels for scoliosis: where to start and where to stop. Invited submission from the Joint Section Meeting on Disorders of the Spine and Peripheral Nerves, March 2004. J Neurosurg Spine 2004;1:1–8. 23. Harimaya K, Mishiro T, Lenke LG, Bridwell KH, Koester LA, Sides BA. Etiology and revision surgical strategies in failed lumbosacral fixation of adult spinal deformity constructs. Spine 2011;36:1701–10. 24. Tsuchiya K, Bridwell KH, Kuklo TR, Lenke LG, Baldus C. Minimum 5-year analysis of L5-S1 fusion using sacropelvic fixation (bilateral S1 and iliac screws) for spinal deformity. Spine 2006;31:303–8. 25. Tumialán LM, Mummaneni PV. Long-segment spinal fixation using pelvic screws. Neurosurgery 2008;63:183–90. 26. Shen FH, Mason JR, Shimer AL, Arlet VM. Pelvic fixation for adult scoliosis. Eur Spine J 2012;22:265–75. 27. Graham RB, Sugrue PA, Koski TR. Adult Degenerative Scoliosis. Clin Spine Surg. 2016 Apr;29(3):95-107. 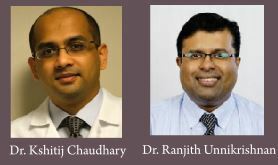 How to Cite this Article: Chaudhary K, Unnikrishnan R Management strategies and selection of fusion levels in adult spinal deformities.. International Journal of Spine Apr – June 2016;2(1):25-30 .